This entry gives you a sense of how we handle a more challenging situation. 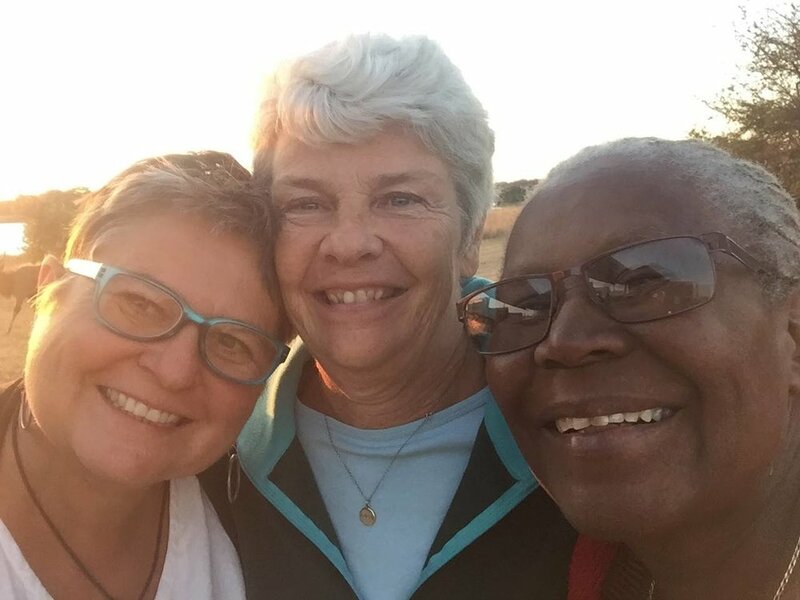 Prisca and Nancy make tough calls based on decades of experience supporting our caregivers and young people through profound struggles, and seeing what strategies have a lasting positive impact. Days like this are NEVER easy. Monday: “ Today was our always-hopeful journey to Makovere. This is an aging women’s group working under poor management, a combination that never bodes well for basket production. Indeed, although the baskets were of a somewhat better quality than last visit, the quantity of baskets they produced was woefully inadequate for the number of children they need to support. We purchased what we could and then did a 1/2 price second round to boost the sales as high as we reasonably could. Our visit to the school was also discouraging, much chaos and confusion. We sorted out the student list and then met with the kids: such cute sweet kids, but obviously living in very poor conditions. The visit to Razi Secondary School to meet with the 18 kids in Form 1-3 was also difficult. Several of kids we used to support are no longer at school due to poor performance or because they made the choice to head off in other directions. One girl, Precious Maunge, is a special concern for us. She is one of several grandchildren living with Gogo (Grandmother) and Precious has the burden of caring for many of the younger children under Gogo’s care. The school claimed she was a behavior problem, that she was rude to her grandmother etc. But when we met with her, her school uniform was barely intact and she was wearing busted shoes. She passed 5 subjects and wants to be a nurse. We addressed the shoes and school, and offered a special encouragement for her to be safe, strong, and focused on school: a new school uniform from Zienzele if she passes 5 subjects next term. We'll see what happens. We are so proud of these kids! A very busy day with chicken projects! Thursday: “We were out of the house by 6am for the first annual Poultry project competition. Three Agiritex /veterinarian folks served as our judges. They had their criteria: they inspected the structure, protection, ventilation, and hygiene of the coops, and they also considered each committee’s structure, notes, and how each group was organized. We visited Chamatutu, Chikofa , Mupagamure, Chomuruvati, Musvovi, Berejena, Paradza and finally Nemauzhe where we shared a meal of project-chicken and sadza. And the winner was....drumroll......MUSVOVI! This means that next Thursday there will be an all-group Poultry Show at Musvovi. All very exciting, and a great success for a great group and an exceptional leader, Mai Tafadzwa. Learn more about our 2019 Walk for Zienzele! An exciting day in Rungai! In Chivi, a meeting with a basket-making caregivers' group and in Makamure, Mr. Machokoto with his mukumbegwa spoons. Cynthia Stadler is a Zienzele Board Member and certified nurse midwife. This was Cynthia’s third field visit, and during this trip, she ran her second cervical cancer screening clinic. These are some of her notes and images! Yesterday was our first Teen sexuality workshop. 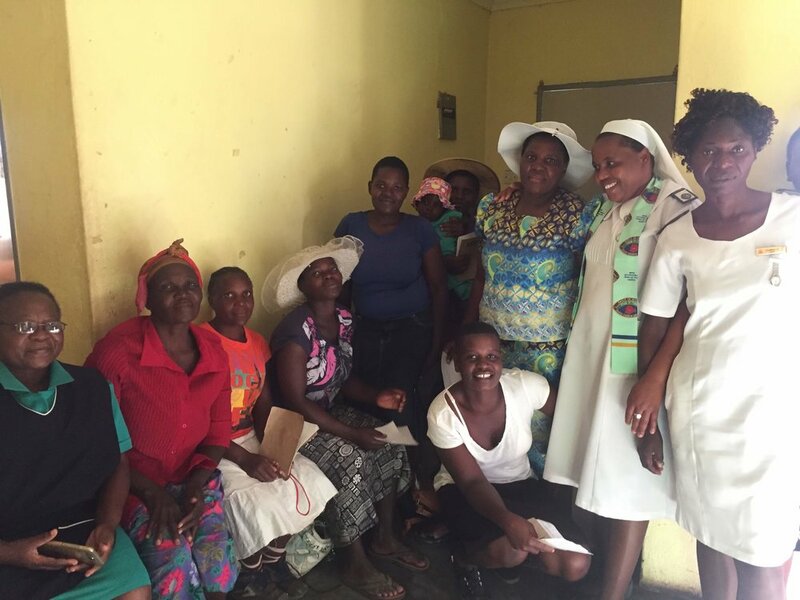 We were joined by two amazing women from BAHSO- Kombi and Chipiwa. BAHSO is an organization founded by the family of the first woman in this area to die of AIDS. They are inspiring educators focused on living positively with HIV , STI prevention and sexuality education. Zienzele frequently collaborates with this terrific organization. We had 47 students come, ages 12-17. We covered puberty, reproductive anatomy, STIs, pregnancy and birth control, healthy relationships and gender based violence, PLUS planning for your future and careers. The students asked great questions. It seemed they really got something out of the day and enjoyed it. Our big cervical cancer screening day. It was a grueling day. We left the house at 7am and didn’t get home until after 7pm. We screened 94 women using VIA (visual inspection with acetic acid) and found 14 positives. This is a low tech screening method developed by the WHO for low resource areas using vinegar and the naked eye. We have arranged for the 14 women needing cryotherapy to travel by van together to the hospital for treatment. Today we delivered food and clothing to the 69 of the child headed households (children who live without an adult or with an old disabled adult) that Zienzele supports. Each of our 46 basket groups submit their best weaver’s work into our big annual basket competition-always an exciting gathering full of dramatic skits, singing, dancing, laughing, and for ten women and the cooperatives they represent, the honor of winning… and prizes! The woman in the photo is this year’s first-prize winner, posing with her winning baskets. Zienzele Representatives are crucial on-the-ground liasons with our women’s cooperatives and the children we support, keeping us all connected between Prisca and Nancy’s field visits.